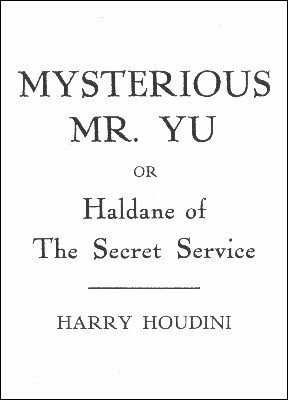 Mysterious Mr. Yu or Haldane of the Secret Service is a story (film script) to one of Houdini's own movie creations. It features Houdini as Haldane, a secret service agent who fights an evil ring of counterfeiters, interwoven with a love story. 1st edition, 1921, Harry Houdini; 6 pages.